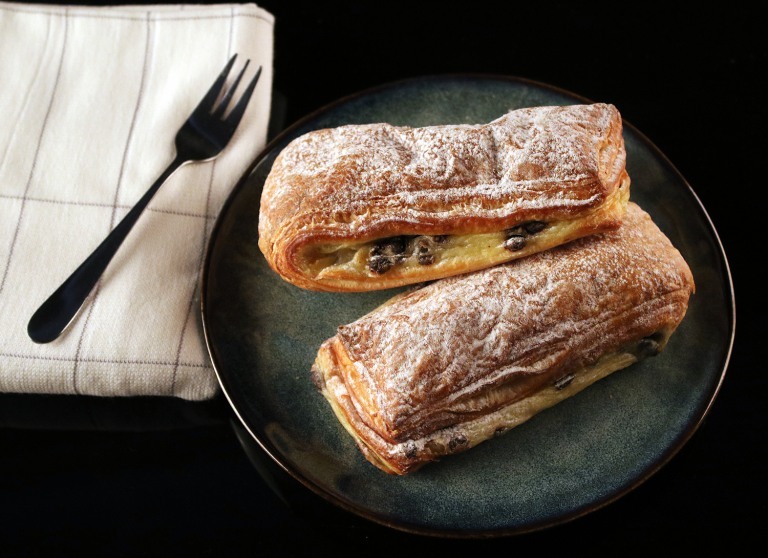 A delectable classic Swiss Danish that fills your mouth with the perfect amount of crispy, creaminess and chocolatey goodness. Your first bite will leave you wanting more instantly. The silkiness of the custard paired with hints of chocolate chip filling is like yin and yang in your mouth. The light crispiness of the pastry will make you feel satisfied but never give you the feeling like you over indulged.